Cristal Palace Resort is a large assisted living facility with 252 beds. The facility operates for profit and the legal licensee is Cristal Palace Resort PB, LLC. Although the facility is located in Palm Bay, Florida, the corporate mailing address and authorized person detail are linked to an address in North Miami Beach. Possible Injury or Wrongful Death Claim? Our Orlando assisted living negligence attorneys can help. Call us now, toll-free, for a complimentary case consultation. AHCA’s provider profile for Cristal Palace Resort shows that the facility has faced state survey and inspections. The Brevard County assisted living facility was inspected multiple times, some of which resulted in deficiencies and violations. Deficiencies cited: The facility failed to submit a 15 day adverse incident report after a resident eloped from the facility. Deficiencies cited: The facility failed to ensure the 1823 form of a resident had all the required information for 2 of 14 sampled residents, failed to perform glucose testing on a resident in need, and failed to appropriately store/distribute medication. Deficiencies cited: Cristal Palace was cited for failing to notify a health care provider and/or family member when 2 of 24 sampled residents were sent to the hospital. Deficiencies cited: Based on personnel record reviews and interviews, AHCA determined that the facility failed to ensure that 1 of 4 sampled staff received the appropriate in-service training within thirty days of hire. Deficiencies cited: The assisted living facility failed to purchase a surety bond for two residents who the facility served as representative payee for their social security incomes. The facility also failed to provide documentation that its emergency management plan was submitted for review to the appropriate local agency. Deficiencies cited: The facility did not obtain approval from AHCA prior to converting the 3rd floor to a locked secured memory care unit. Additionally, AHCA found that 1 of 19 sampled residents exceeded the ALF criteria and were inappropriate for continued residency in the facility. Specifically, resident #4 had psychiatric diagnoses, aggressive behavior, elopement risk and out-of-control behavior for the assisted living level of care. 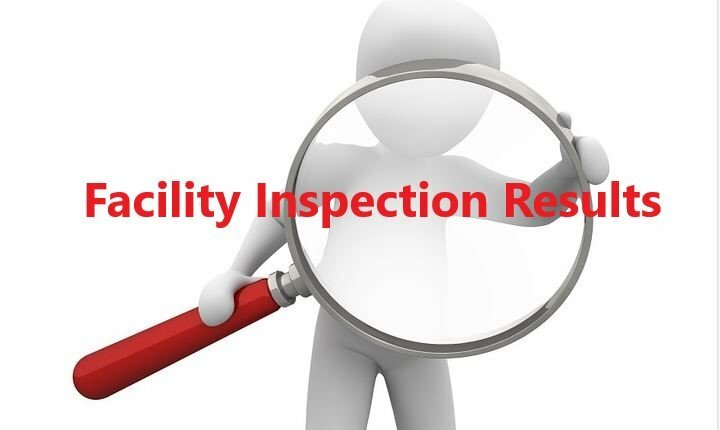 A separate portion of the 9-12-18 survey shows citations for the facility’s administrator failing to prevent the systemic breakdown of facility operations and ensure the facility’s ability to provide necessary care to residents. Deficiencies cited: The state cited Cristal Palace for failing to fix the prior deficiency, tag #A0077. Cristal Palace Resort PB, LLC was sued in one civil lawsuit, Tamarya Webb vs. Cristal Palace. Cristal Palace is an assisted living and memory care facility located at 1881 Palm Bay Road Palm Bay, Florida 32905.